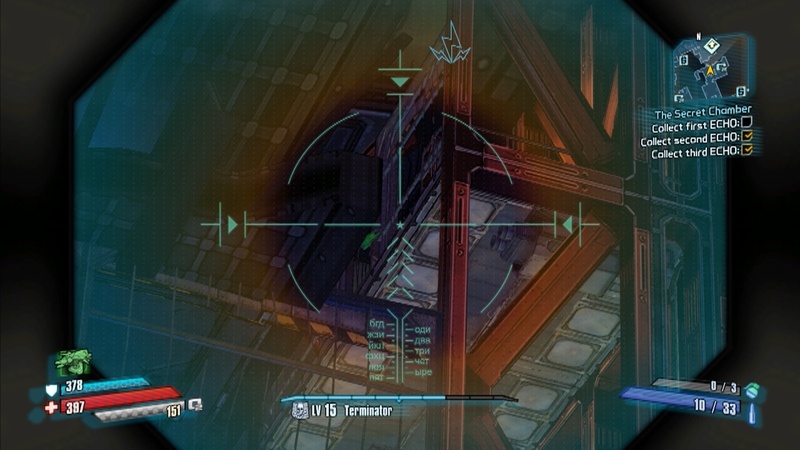 ← Redirect Flow in Intelligence of the Artificial Persuasion in Borderlands: The Pre-Sequel! Collect the First, Second and Third ECHO in The Secret Chamber in Borderlands: The Pre-Sequel! 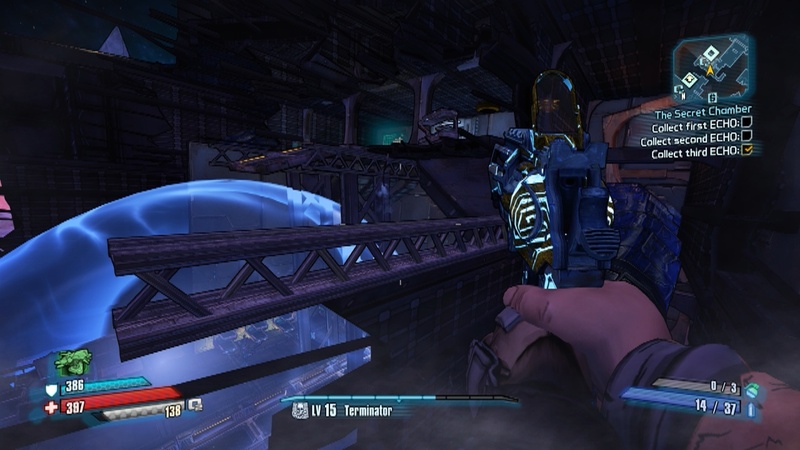 Shoot the green glowing part of the elevator to collect the first echo in The Secret Chamber in Borderlands: The Pre-Sequel! It will be easiest with a sniper rifle. Then supercharge the jump pad by shooting the box that is connected to it and use it to jump up to the platform. Now you can collect the first echo. Jump towards this metal beam to collect the second echo in The Secret Chamber in Borderlands: The Pre-Sequel! Once you are on the beam you can jump up the the platform and collect the second echo. Collecting the third echo is easy, go to the place marked on the map and shoot the enemies. The echo will drop. This entry was posted in Uncategorized and tagged Borderlands, Borderlands: The Pre-Sequel, Collect Echoes, Collect First Echo, Collect Second Echo, Collect Third Echo, Echo, Find the Echoes, First Echo, Pre-Sequel, Second Echo, The Secret Chamber, Third Echo. Bookmark the permalink. 1 Response to Collect the First, Second and Third ECHO in The Secret Chamber in Borderlands: The Pre-Sequel!